Mani Shankar Aiyar is a member of the Rajya Sabha (Upper House). He began his career as a an Indian diplomat before becoming the Private Secretary for Indian Prime Minister Rajiv Gandhi, during which time he assisted Gandhi draft the Rajiv Gandhi Plan for Nuclear Disarmament and a Non-violent World Order. He then served as a member of Lok Sabha (Lower House) representing the Indian National Congress party until 2009. He served as Union Cabinet Minister for Petroleum and Natural Gas from May 2004 through January 2006 and Ministry of Youth Affairs and Sports till 2008. Mani Shankar is author of a number of books including Remembering Rajiv (1992), Pakistan Papers (1994), Knickerwallahs, Silly-Billies and Other Curious Creatures (1995), Confessions of a Secular Fundamentalist (2004) and A Time of Transition: Rajiv Gandhi to the 21st Century (2009). Saber Chowdhury chairs the Bangladesh Parliament All Party Group on Climate Change and Environment, is Vice President of the Inter-Parliamentary Union's Standing Committee on Peace and International Security and is an active member of the Commonwealth Parliamentarian Association. He has introduced legislation on prohibition of Torture and Custodial/ Extra-judicial killings in Bangladesh, rights of slum dwellers, a code of conduct/ethics for members of parliament, and repeal of Leprosy Act which had promoted segregation. He has introduced resolutions on nuclear disarmament and jointly authored an inquiry of the Bangladesh and UK Parliaments on Climate Change Equity. David Coltart, MDC Senator, has been a human rights lawyer in Zimbabwe since his return to the country in 1983. He was first elected to represent the Bulawayo South House of Assembly constituency in June 2000, and was re-elected in March 2005. In March 2008 he was elected as a Senator to represent the Khumalo Senatorial constituency in Bulawayo. 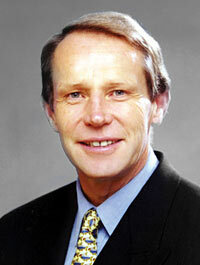 Senator Coltart was sworn in as Minister of Education, Sport, Arts and Culture in February 2009. Senator Rosario Green is the Chairperson of Foreign Affairs in the Mexican Senate. She is also the President of Mexico’s delegation as an Observer in the Parliamentary Assembly Council of Europe. From 1994-2000, she was Mexico’s first female Secretary of Foreign Affairs. Senator Green has been a faculty member of UNAM, Colegio de México and the Universidad Iberoamericana and director of the Matías Romero Institute of Diplomatic Studies at the Secretariat of Foreign Affairs as well as president of Fundación Colosio. She has been an Ambassador to East Germany, Ambassador to Argentina, executive secretary of the National Human Rights Commission, and sub-secretary for Political Affairs of the United Nations. Hideo Hiraoka MP (DPJ, is serving his fifth term as a member of the Japanese House of Representatives. He is the Vice-Minister of Internal Affairs and Communications and a senior advisor and the former Secretary General of the DPJ Parliamentary Group on Nuclear Disarmament and a member of the House Committee on Internal Affairs and Communications. He has led a number of nuclear disarmament initiatives including a joint Japanese/South Korean parliamentary declaration supporting a Northeast Asian nuclear-weapon-free-zone and a cross-party letter from 204 Japanese parliamentarians to US President Obama during the US Nuclear Posture Review supporting Obama’s vision for a nuclear-weapons-free world and initial steps including lowering the role of nuclear weapons in security doctrines. Bill Kidd has served as a member of the Scottish Parliament for the Scottish Nationalist Party for two years. During that time he has introduced a number of motions supporting nuclear disarmament and critical of the British deployment and home-basing of nuclear submarines in Faslane, Scotland. Mr Kidd has also participated in international disarmament initiatives, and has assisted Scottish First Minister Alex Salmond in efforts for Scottish representation in international disarmament forums. Mikyung Lee is a leading figure in the South Korean National Assembly and in North East Asia advancing cross-party and regional initiatives to advance denuclearization in the region including the Six Party process and proposals for a North-East Asian Nuclear Weapon Free Zone. Congressman Edward J. Markey (D-MA) is one of the most senior members of several key committees of the US Congress, including Energy and Commerce Committee, the Committee on Homeland Security and the Natural Resources Committee. He is also Chair of the House Subcommittee on Telecommunications and the Internet and Chairman of the Select Committee on Energy Independence and Global Warming. In addition, he is the co-chair of the bipartisan Caucuses on Nonproliferation, on Privacy, on Alzheimer's disease and on Cystic Fibrosis. Marit Nybakk has been Chairperson of the Standing Committee on Defense of the Norweian Parliament since 2001. She was a member of the Enlarged Foreign Affairs Committee from 1997 to 2001. She is also currently a member of the Norwegian Delegation to the European Union. 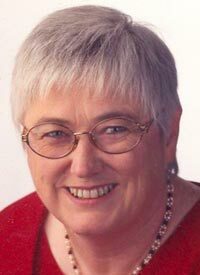 Ms Nybakk has been a member of the Storting for Oslo on behalf of the Labour Party since 1987, and has been re-elected on four occasions. She previously served in the position of deputy representative during the term 1985-1989. Uta Zapf is the Chair of the Bundestag (German Parliament) Sub-Committee on Disarmament Arms Control and Nonproliferation, and is the Deputy Spokeswoman for Foreign Policy of the Social Democrats in the Bundestag. She has been a leader internationally on non-proliferation issues including most recently a parliamentarians’ initiative to ensure that nuclear technology assistance to countries is conditional on their integration into non-proliferation and disarmament measures and mechanisms. Helen Clark is the head of the United Nations Development Programme, the third-highest UN position. Clark was the 37th Prime Minister of New Zealand for three consecutive terms from 1999 to 2008 and led the Labour Party from 1993 until 2008. 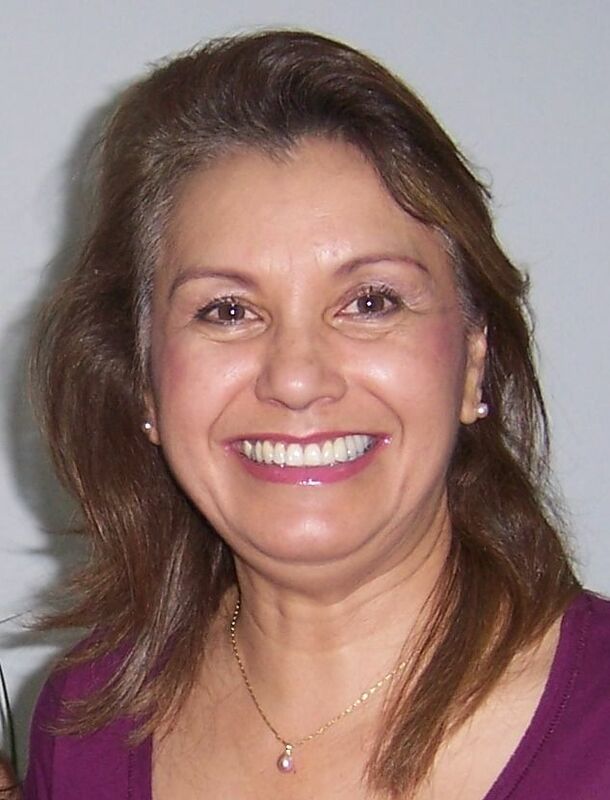 Before resigning from Parliament in April 2009, Clark was Labour's foreign affairs spokeswoman and MP for the Mount Albert electorate which she had held since 1981. Forbes magazine ranked her 20th most powerful woman in the world in 2006. Senator Dallaire is a former Lieutenant General who in 1994 commanded the United Nations Assistance Mission for Rwanda (UNAMIR). His book Shake Hands with the Devil: The Failure of Humanity in Rwanda, was awarded the Governor General’s Literary Award for Non-Fiction. Since his retirement from the military, Senator Dallaire has pursued research on conflict resolution and the use of child soldiers; he has spoken to numerous audiences on conflicts, child soldiers and genocide; and he has served on the United Nations Secretary General’s Advisory Committee on Genocide Prevention. Since joining the Canadian Senate in 2005 Roméo Dallaire has actively promoted nuclear disarmament. He introduced a resolution, adopted unanimously, calling on the Canadian government to lead a global effort to eradicate nuclear weapons. He is leading a collaborative effort on nuclear abolition with the Pugwash Conferences on Science and World Affairs. Elected to Congress in 1996, Kucinich has been a tireless advocate for civil rights, human rights and peace. 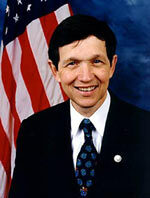 Kucinich has authored and co-sponsored legislation to create a national health care system, preserve Social Security, lower the costs of prescription drugs, provide economic development through infrastructure improvements, abolish the death penalty, provide universal kindergarten availability, create a Department of Peace, regulate genetically engineered foods, repeal the USA PATRIOT Act, prevent an arms race in outer space, establish a federal Department of Peace, and provide tax relief to working class families. Kucinich took a leading role in the Progressive Caucus, as member of the Bi-partisan taskforce on non-proliferation and he co-chaired the bi-partisan Russia Caucus. Dr. Aytug Atici is a medical doctor and a lawmaker from the Republican People's Party. Frieda Brepoels has served as Vice-Chairwoman of the Nieuw-Vlaamse Alliantie Party, Deputy Mayor of Bilzen, and Member of the Belgian Federal parliament, and has been a member of the European Parliament since 2003. She is a member of the European Parliament Foreign Affairs Committee, Delegation for relations with Japan and Delegation to the Euro-Mediterranean Parliamentary Assembly. Since 2008 she has been a Co-Chair of the European Parliament Section of PNND. Martin Monestel is Vice-President of the Costa Rican National Assembly. Professor, artist, and international speaker on the inclusion of people with disabilities. Jeremy Corbyn is a British Labour Party Member of Parliament for Islington North. He has been in the House of Commons since he won his seat at the 1983 general election. A long-time supporter of the Campaign for Nuclear Disarmament, he is one of its three Vice-Chairs. Before his election to parliament he was an elected councillor in the London Borough of Haringey (1974-1983). Senator Demessine is the current Secretary of the French Senate represents the Nord-Pas-de-Calais region. She is a member of the Committee on Foreign Affairs, Defence and Armed Forces. She has been a fierce promoter of women's rights and is also committed to the dignity and citizenship of people with disabilities. Michelle Demessine was first elected Senator in 1992. She left the office after having been appointed Minister of Tourism from 1997 to 2001. In March 2001 she was elected Deputy Mayor of Lille, and returned to the Senate. She is a member of the French Groupe Communiste Républicain et Citoyen . Paul Dewar, is an educator and politician from Ottawa, Ontario. He is the New Democratic Party (NDP) Member of Parliament for the riding of Ottawa Centre. Dewar was first elected to the House of Commons in the 2006 federal election. He served as the Official Opposition Critic for Foreign Affairs, until he left the post in October 2011 to run for the leadership of the NDP. Jordan's King Abdullah II appointed Abdullah Ensour as Prime Minister on Oct. 10, 2012, to prepare for the country's first post-Arab Spring parliamentary election. Harry Jenkins has been representing the Division of Scullin, Victoria, since the 1986 by-election for the Australian Labor Party. He is the longest-serving Labor member of the House of Representatives (over 26 years). He was Deputy Speaker 1993-1996 and Second Deputy Speaker from 1996 to his election as Speaker in 2008 from which he resigned on 24 November 2011. Dr Hutchison has been a parliamentarian since 1999. Prior to that he was a health professional with 30 years experience in both private and public practice. Dr Hutchison has worked as a Resident in Pathology at Metropolitan General Hospital in Cleveland (USA), a lecturer for the University of London at St Thomas' Hospital and as Senior House Officer and Registrar at National Womens’ Hospital (New Zealand). Dr Hutchison currently holds the National Party spokes-person roles for the Accident Compensation Commission, Disability Issues, Food Safety, and Policy on Children. A member of Althingi for the Reykjavik South Constituency since, Birgitta Jónsdóttir is the Vice-Chairman of the parliamentary group of the Movement 2010, and member of committees dealing with education, general affairs, foreign affairs, environment, European affairs and the NATO Parliamentary Assembly. Roderich Kiesewetter, (CDU/CSU) is Deputy-Chair of the Bundestag Sub-committee on Disarmament and Arms Control, leader of the German delegation to the Euro Mediterranean Parliamentary Assembly and member of the Parliamentarians’ Network on Conflict Prevention. Prior to entering parliament Mr Kiesewetter worked at the German defense ministry, EU Council and NATO headquarters where he was office manager of the chief of staff. Dov Khenin is a member of the Knesset Internal Affairs and Environment Committee and the Committee on the Rights of the Child. He is chairman of the Chairman, Social-Environmental Lobby and the Civil Rights Lobby and a member of the Lobby for Jewish-Arab Coexistence. Taro Kono has been a Member of the Japanese Parliament for the Liberal Democratic Party since 1996. He has held the position of Chair of the Foreign Affairs Committee even though he has not always supported LDP policy on all issues, including the war against Iraq and the US-India nuclear technology deal. Kono has also served as Senior Vice Minister of Justice, and pioneered a change on law on organ donation after donating part of his liver to his father Yohei Kono (former Prime Minister and Parliament Speaker). Taro Kono was the inaugural Secretary-General of the Japan Section of PNND and is now its President. He has a bachelor's degree in sericulture from Seoul National University (1969). Before turning to politics, he led several labour organizations including Korean Federation of Press Unions and Korean Confederation of Trade Unions. He was the President of the Democratic Labour Party, and is currently a member of the National Assembly. Kwon is a Roman Catholic. Hallgeir Langeland, Member of the Norwegian Parliament. Deputy Head of the Norwegian delegation to the Assembly of Western European Union. Member of the Standing Committee on Transport and Communications. Dirk van der Maelen is a member of the Spirit Party form Eastern Flanders. He serves as President of the Commission on Globalisation and as Vice-President of the Foreign Affairs Committee. Dirk has introduced a number of nuclear non-proliferation and disarmament resolutions in the Belgian parliament and was author of the legislation prohibiting depleted uranium weapons. Most recently he was one of the organizers of a Letter to the President of the United States from parliamentarians in Belgium, Germany, Italy, the Netherlands and Turkey supporting Obama’s vision and actions for a nuclear-weapons-free world and calling for the removal of US nuclear weapons from Europe as an important step. Christa Markwalder Bar was elected for the Liberal Party (FDP) to the Swiss National Council in 2003. Since then she has been member of the Foreign Policy Commission, which she is currently chairing. She is also member of the Committee for Legal Affairs and the German-language Drafting Committee. Since 2007, Christa Markwalder Bar is part of the delegation to the Inter-Parliamentary Union. She also chairs the parliamentary group on renewable energies, the parliamentary group Green Cross, the parliamentary group for environmentally conscious management, and is the co-president of the parliamentary group for voluntary work and volunteering. Christa Markwalder Bar holds a law degree and a certificate in ecology. Federica Mogherini is a member Democratic Party member of the Italian House of Deputies. She is the Secretary of the Defense Commission and a member of the Italian Parliament Delegation to the Western European Union. Federica Mogherini has been active in promoting nuclear disarmament in the Italian parliament, most recently with a resolution successfully adopted supporting the nuclear disarmament visions and plans of President Obama and UN Secretary General Ban Ki-moon. Besides being a Senator, Tolegen Mukhamedzhanov is a composer, poet, laureate of the “Parasat” medal, a State Prize of the Republic of Kazakhstan. He is also Professor, President of the International Association "Peace Through Culture", Co-Chair of the World Forum of Spiritual Culture and Director of the State Opera and Ballet Theatre “Astana Opera”. Christine Muttonen is a member of parliament for the Social Democratic Party of Austria (SPÖ). She studied history and Anglistics at the University of Vienna and from 1983 to 1999 taught at the Villach Higher Technical Institute. 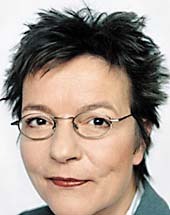 After the 1999 election, Muttonen came to Parliament, where she was Cultural spokesperson for the Scoial Decmocratic Party from 2001 to 2009. Since 2003 Muttonen has been a member of the Austrian delegation to the Council of Europe Parliamentary Assembly. Muttonen is also a member of the Association of European Parliamentarians for Africa (AWEPA). In 2009 Muttonen took over as spokesperson on Foreign and European Affairs for the Social Democrats. Next to the EU commission, she is also member of the Foreign, Education and Culture commissions. Holger Nielsen has been a member of the Danish Parliament from 1981-1984 and returned in 1987 until today. He has been a member of the parliaments' Presidium since 2007. Previously he has served on the Nordic Council, as Head of Section in the Danish Ministry of Energy and as Chairman of the Socialist People's Party. He has written a number of books on Danish politics and the EEC. David Patrick Bernard Norris is a scholar,independent Senator, and gay and civil rights activist. Norris represents the University of Dublin constituency in the Seanad as an Independent. He was first elected to the Seanad in 1987, and has been re-elected at each election since. He is a former university lecturer and a member of the Oireachtas, serving in Seanad Éireann since 1987. He was the first openly gay person to be elected to public office in Ireland. Founder of the Campaign for Homosexual Law Reform, he is also a prominent member of the Church of Ireland. He was a candidate for President of Ireland in the October 2011 election. Claudio Monge is leader of the Citizen Action Party. Chairman of the Environmental Commission, Secretary of the Human Rights Commission and member of the Agricultural Commission and Secretary of the Human Rights. Alongkorn Ponlaboot is a Member of Parliament, Democrat Party, Phetchaburi province and also Deputy Prime Minister (Shadow Cabinet), Democrat Party. His major positions include President of Alternative Energy Institute of Thailand Foundation, and Advisor to the Standing Committee on Energy of the House of Representatives. He was a Vice Chairman of Energy Committee House of Representatives (2001-2005). Member of the Mazhilis of the Parliament of the Republic of Kazakhstan of the fifth convocation, Deputy Chairman of the Committee on Foreign Affairs, Defense and Security. Member of Political Council of the People’s Democratic Party “Nur Otan”, elected by the party list. François de Rugy is a member of the National Assembly of France. He represents the Loire-Atlantique department, as a member of the Democratic and Republican Left, a parliamentary group that includes his political party Europe Ecology – The Greens. Mushahid Hussain Sayed has served in the cabinet as federal minister of information from 1997 to 1999 in the Nawaz Sharif government. He was elected to the Senate of Pakistan in 2003, and reelected in 2012. He was also selected the Secretary General of the Pakistan Muslim League. Richard Tuheiava is Senator for French Polynesia. He is a member of the Committee for Foreign Affairs, Defence and Armed Forces and also Vice-president of the French Senate "Delegation" on Overseas territories. He is a lawyer since 1997 and a member (1999) of the Human rights league and became the Secretary general of the Polynesian section between 2001 to 2008. He joined the PNND in 2011. He is a member of the Tavini Huiraatira Party, linked to the French Socialist Party. Senator Abacca Anjain Madisson is from Rongelap – an atoll in the Pacific which had to be abandoned due to radioactive fallout from nuclear testing. She has led the efforts of the Marshall Islands to receive compensation from the United States for the loss of land, environmental destruction and health problems in the islands resulting from the tests. Raphael Chegeni has a background in Financial Administration and a Docotrate from Washington International University. He is Secretary General on the Amani Forum of The Great Lakes Reg. Parliamentary Forum and East Africa Chapter Representive on the Parliamentary Network of the World Bank. He is a member of Chama Cha Mapinduzi - CCM, the governing party in Tanzania. Hon Marian Hobbs has held the positions of Minister for Disarmament and Arms Control, Minister for the Environment, Minister Responsible for Overseas Development Aid, Minister for Broadcasting and Associate Minister for Education. She has been active internationally in the Commission on Sustainable Development, United Nations General Assembly (Disarmament and International Security Committee), Conference on Disarmament and other bodies. She has also been active in the adoption and implementation of New Zealand’s pioneering anti-nuclear legislation. Sergei Kolesnikov is a renowned specialist in the field of human embryogeny, he is a member of the Presidium of the Russian Academy of Medical Sciences. In 1999 he was elected to the RF State Duma of the RF Federal Assembly and re-elected for another term in 2003. Currently he is the Deputy Chairman of the RF State Duma Committee for Science and Education. He is the Laureate of the Lenin Komsomol Prize for Scince in 1984, he was awarded with the Order of Peoples Friendship (1985) and Order of Honor (1996). In 1994 he was elected as IPPNW Co-President, re-elected in 1996. Since 1998 he has been the IPPNW Vice-President for CIS countries. He is also the President of the Russian national affiliate of IPPNW. Alexa McDonough was the first woman Leader of the Canadian New Democratic Party and is currently the New Democratic Party Critic for International Development, International Cooperation and Peace Advocacy. She has also been a leader in numerous national and international social action groups and human rights organizations. The Hon. Douglas Roche, O.C., is an author, parliamentarian and diplomat, who has specialized throughout his 35-year public career in peace and human security issues. Mr. Roche was the founding Chairman of the Middle Powers Initiative, an international network of eight non-governmental organizations specializing in nuclear disarmament issues. He retired from the Senate in 2004. Edine von Herold was a legislator in the Costa Rican Assembly. She is a doctor of medicine, during her tenure, she submitted a number of bills which were adopted by the Costa Rican legislature including making the assembly a smoke-free environment and prohibiting the manufacture of depleted uranium weapons in her country. She also originated the Costa Rican Assembly's unanimous support of a nuclear weapons convention. Issam Makhoul is an Israeli Arab politician who served as a member of the Knesset for Hadash between 1999 and 2006. Jose Claveria de Venecia, Jr.
Jose Claveria de Venecia, Jr. also known as JDV or Joe De V is a former Speaker of the House of Representatives of the Philippines, serving from 1992 to 1998 and from 2001 to 2008. As Speaker, he was the fourth highest ranking official of the Philippines. He was the former president of the Philippines' dominant party, LAKAS-CMD. Rudolf Rechsteiner is a Social Democrat Member of the Swiss Parliament representing Basel. He is a member of the Foreign Affairs Commission and the Commission on Energy and the Environment. Mr Rechsteiner is an expert in wind energy having written a number of articles and studies on the issue. 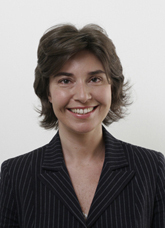 Angelika Beer was a member of the European Parliament from 2004 to 2009 during which time she served as Chair of the delegation for relations with Iran, Chair of the European Parliament Section of PNND and as a member of the Foreign Affairs Committee and the European Parliament delegation to the NATO Parliamentary Assembly. Ms Beer now serves as Chair of the Parliamentarians’ Network for Conflict Prevention. 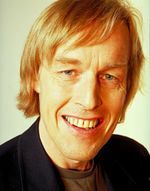 Christer Winbäck was born and raised in Skövde, but has studied and worked in Uppsala. He is currently on a leave of absence from the Skaraborg Hospital, where he worked as an IT manager. He has been a Member of Parliament for the Liberal Party (FP) since 2002 and is a member and leader of the European Union Affairs and Traffic and Labor committees.